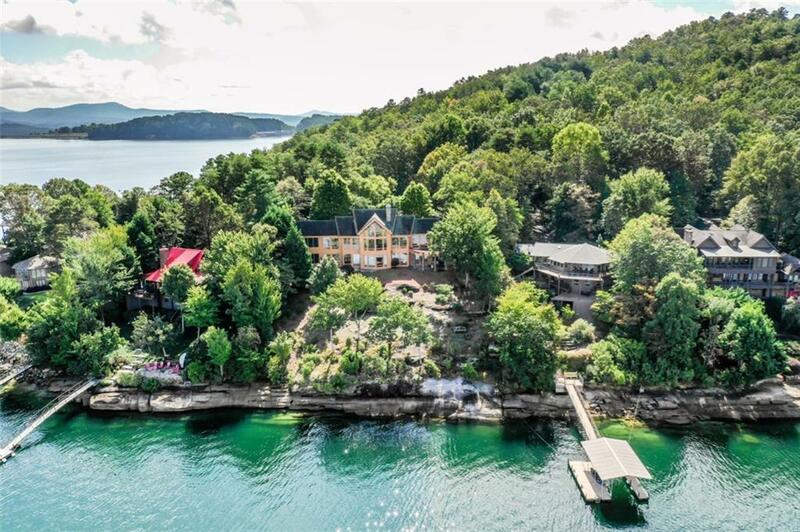 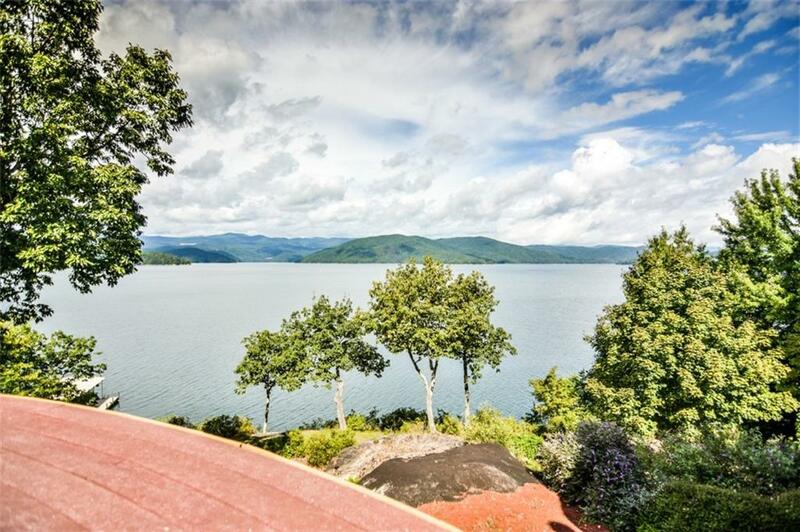 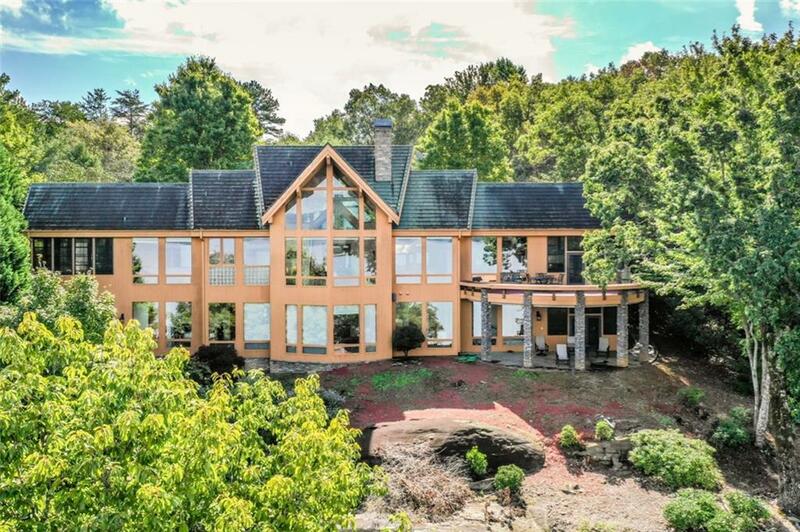 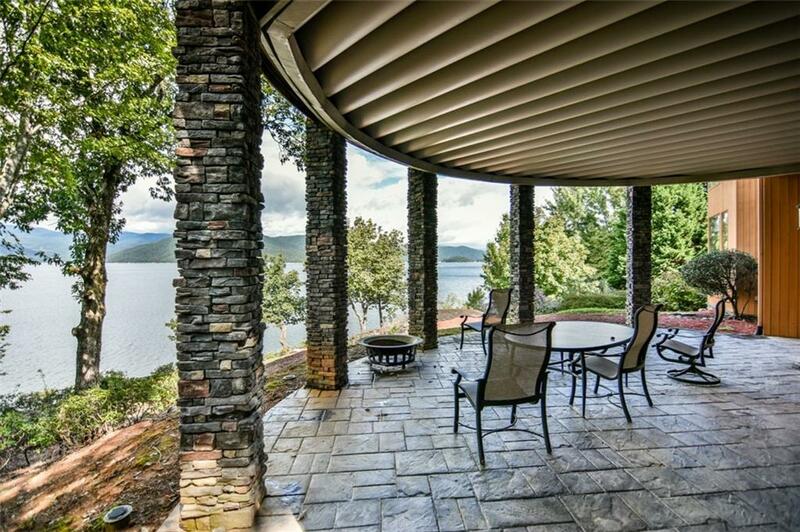 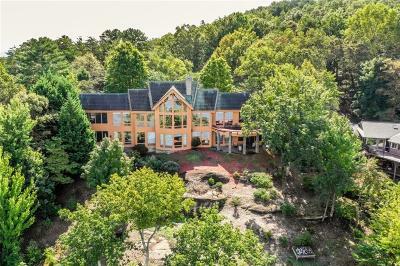 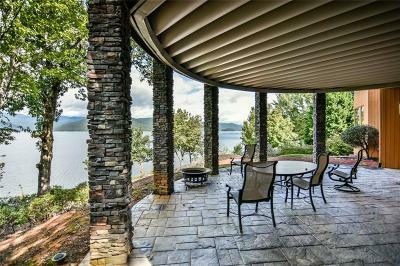 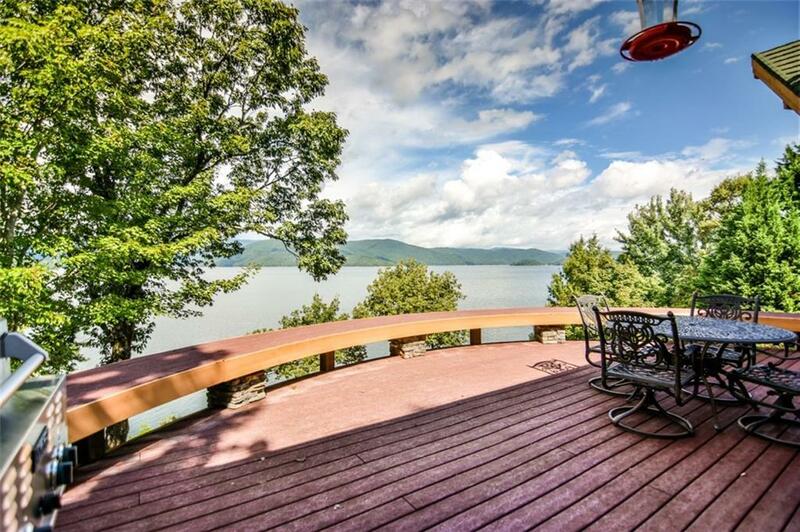 The rare opportunity to own a home on Lake Jocassee is now here! 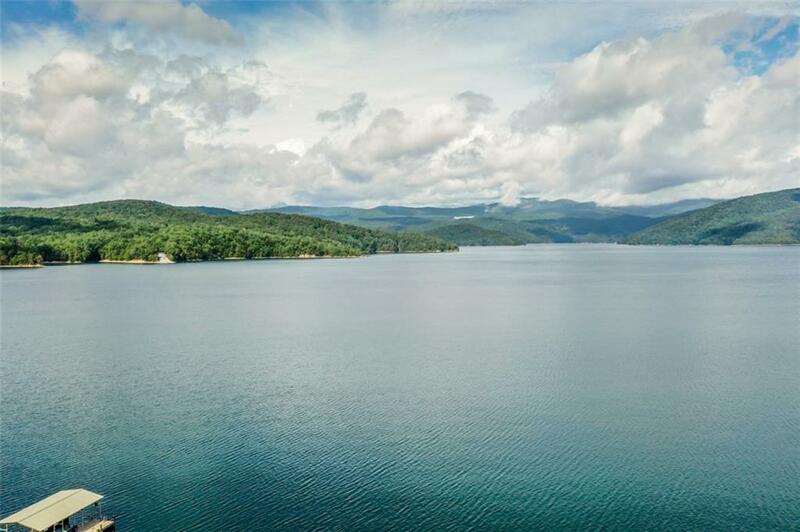 Known as the Lake Tahoe of the East, Lake Jocassee is a mountain lake known for its cool, clear waters, even in late July, thanks to its own micro-climate. 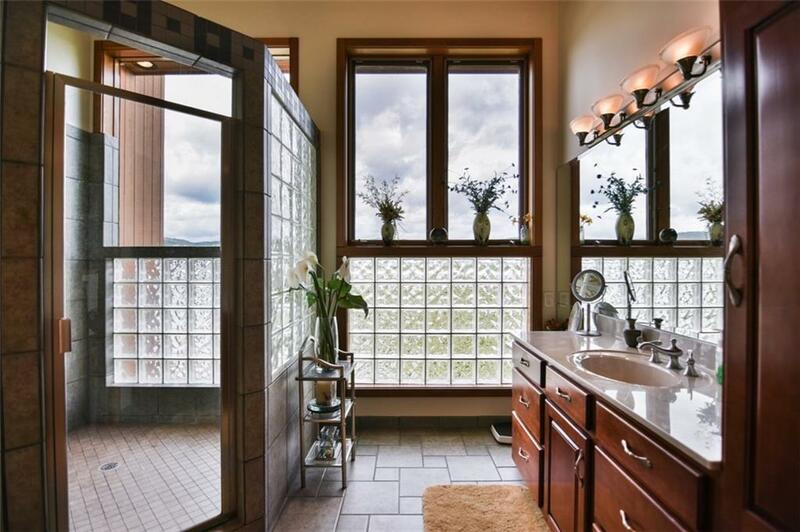 With limited homes and property available, you'll find privacy in abundance. 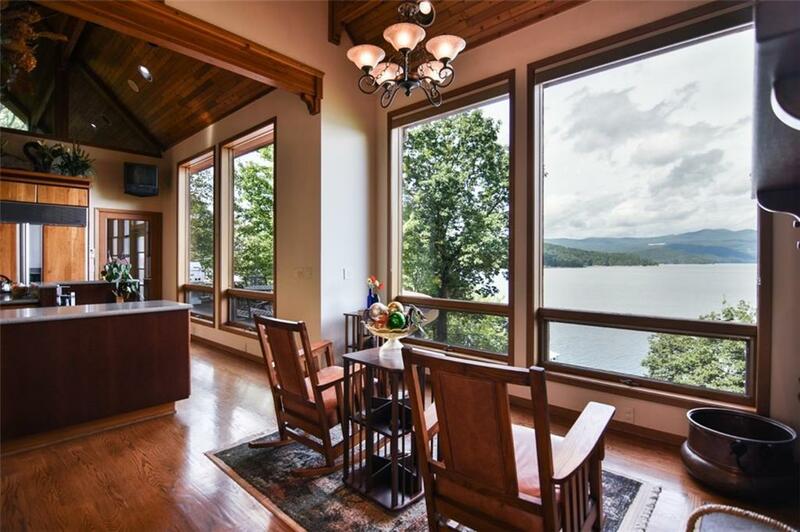 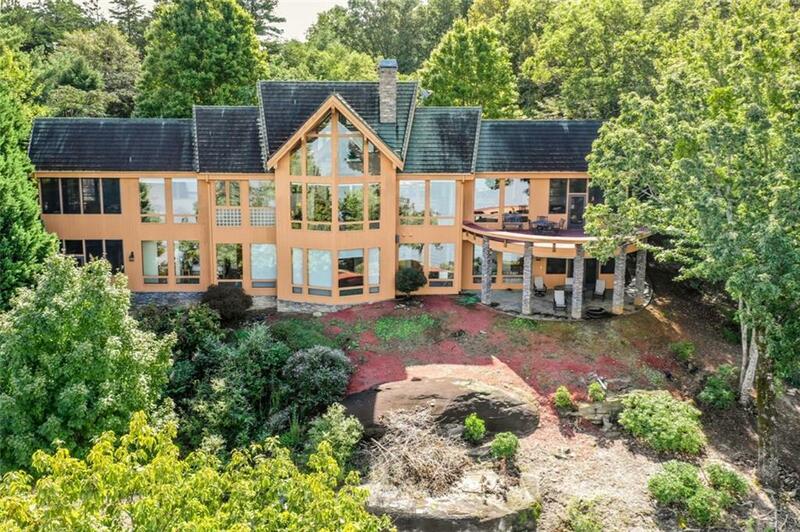 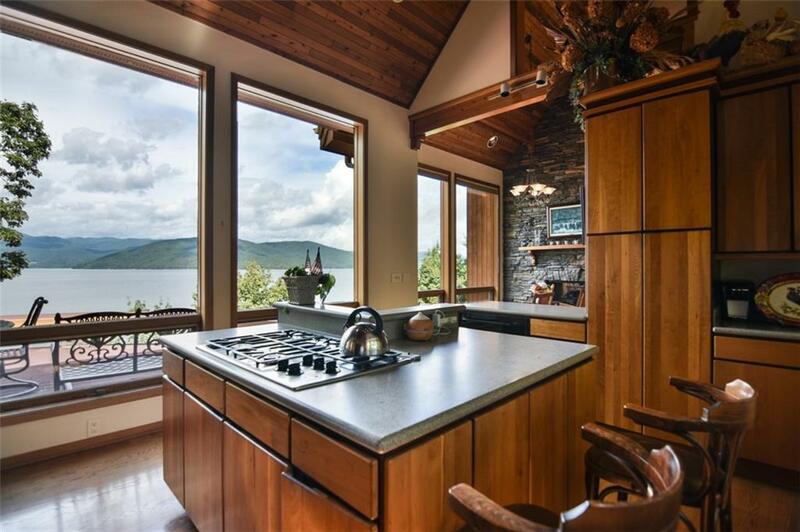 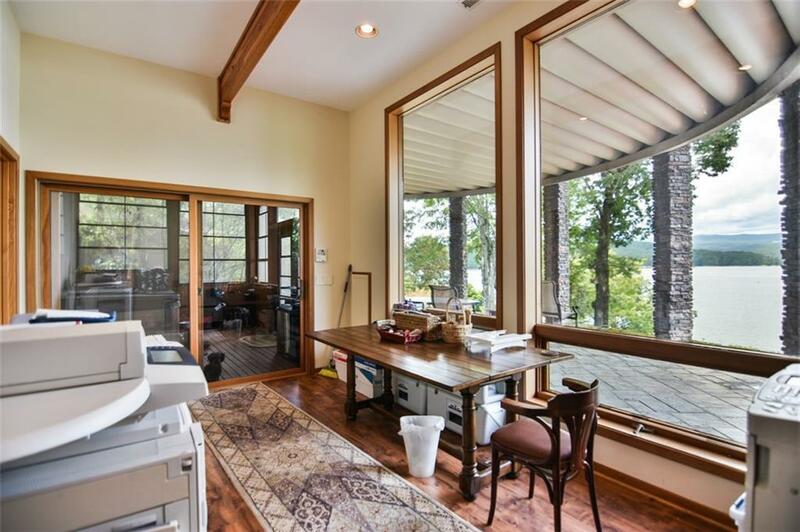 The home features breathtaking views of the lake from nearly every point, thanks to the floor to ceiling windows. 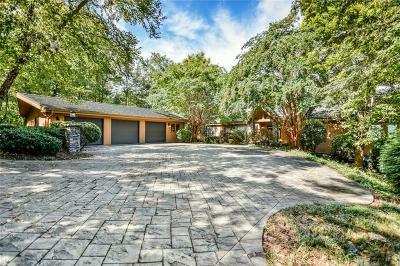 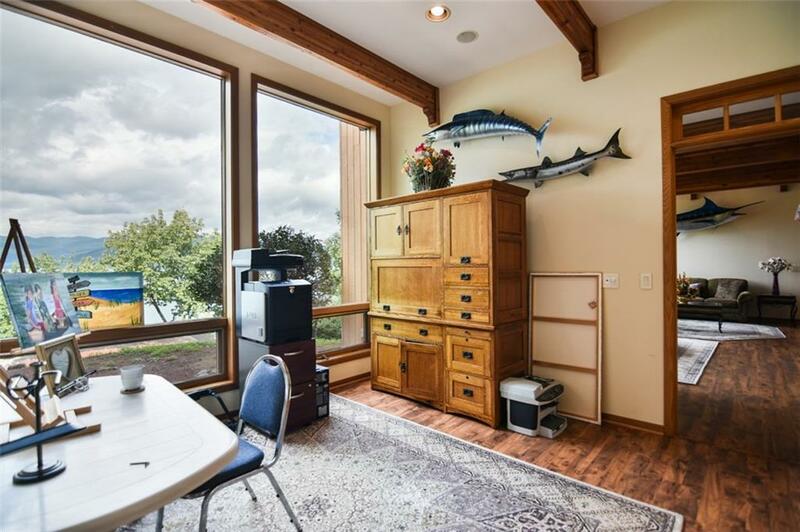 When you first see the home from shore, you'll note the three car garage and workshop. 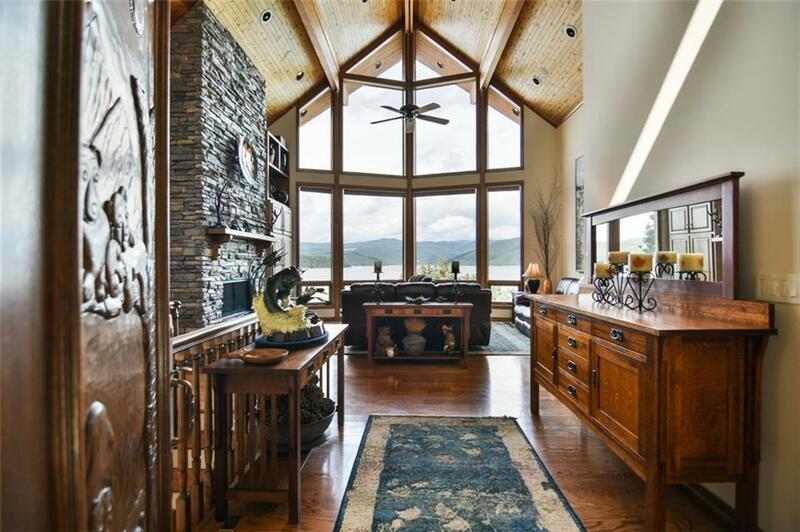 Step through the custom carved front door into paradise! 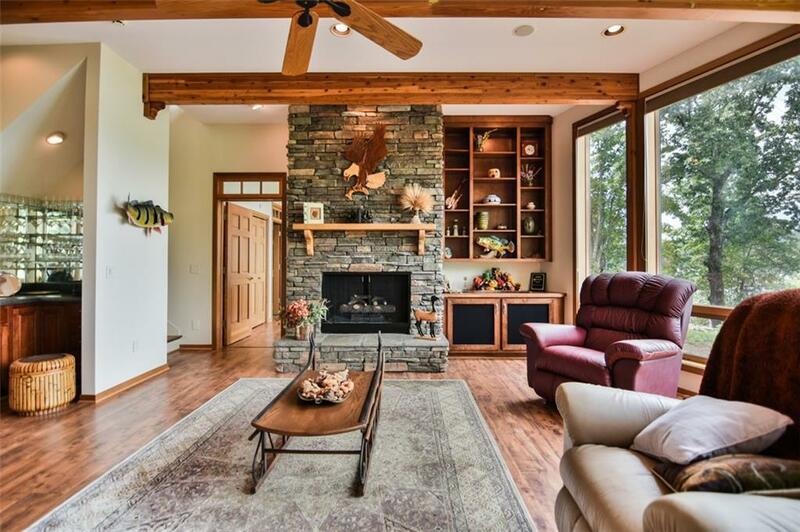 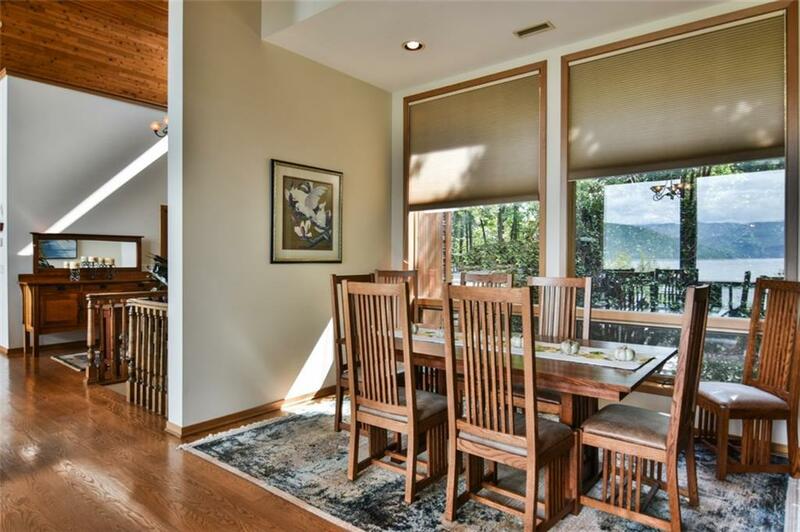 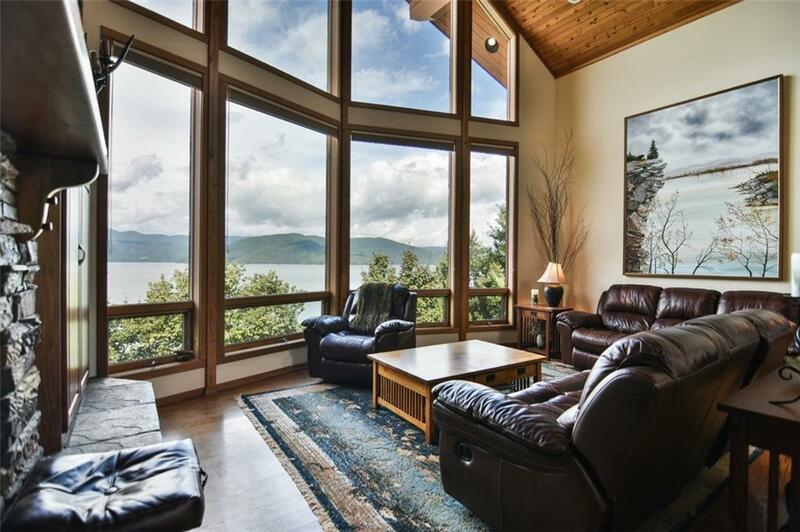 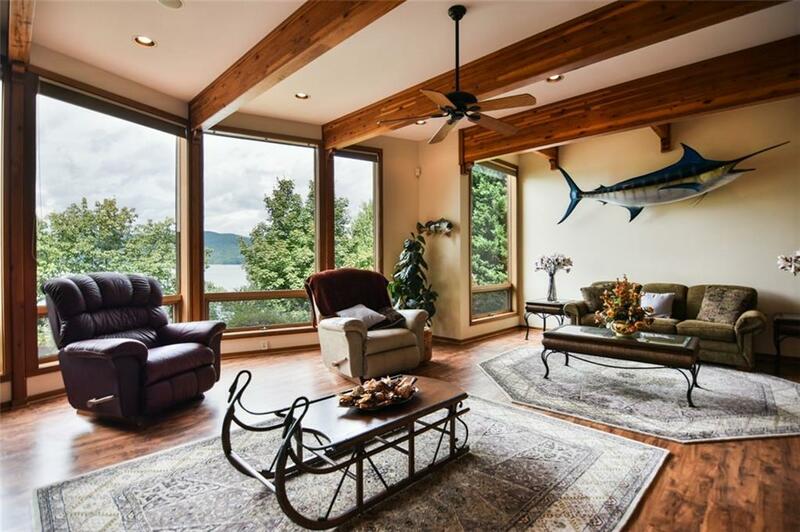 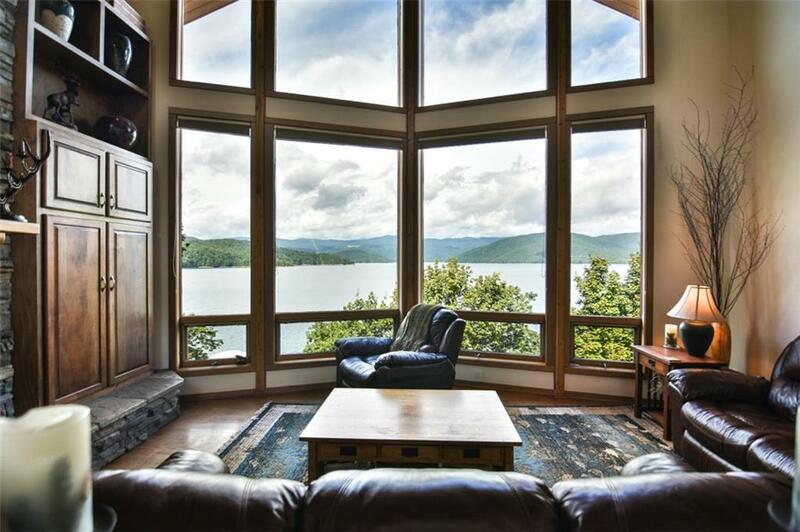 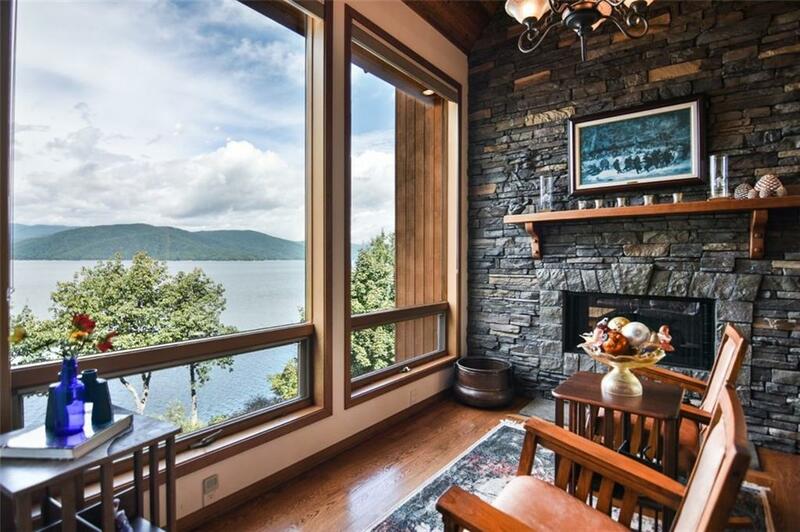 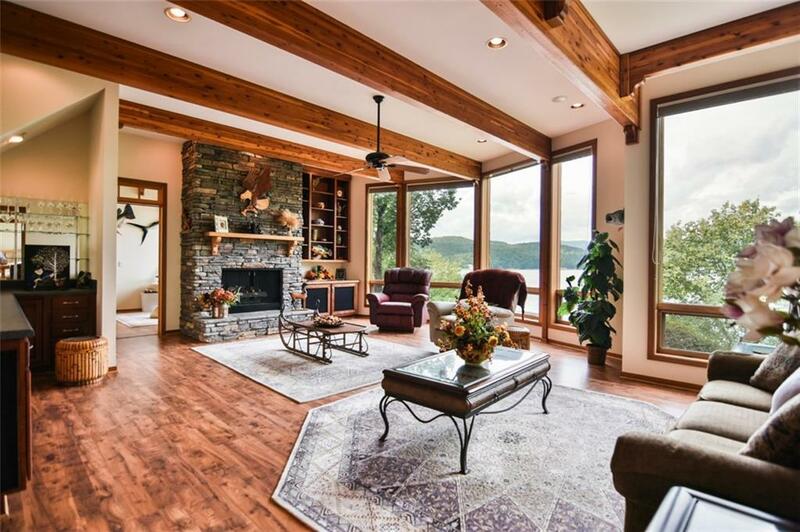 The floor to ceiling windows in the living room give you a breath taking view of the lake. 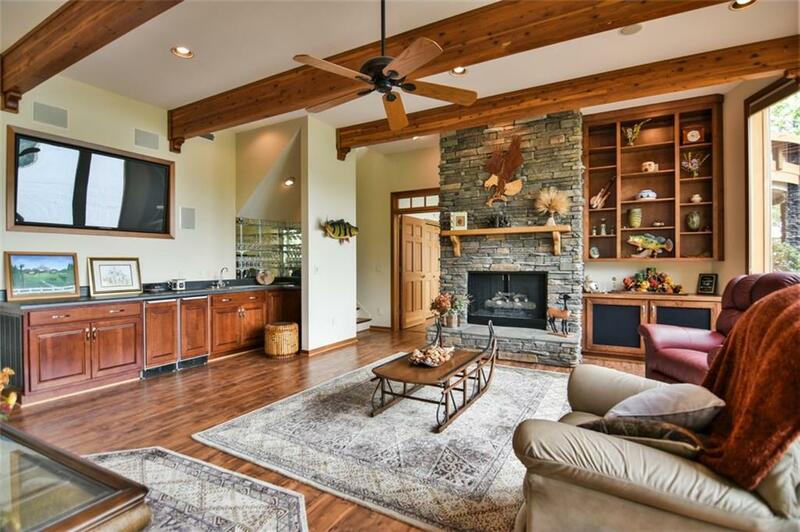 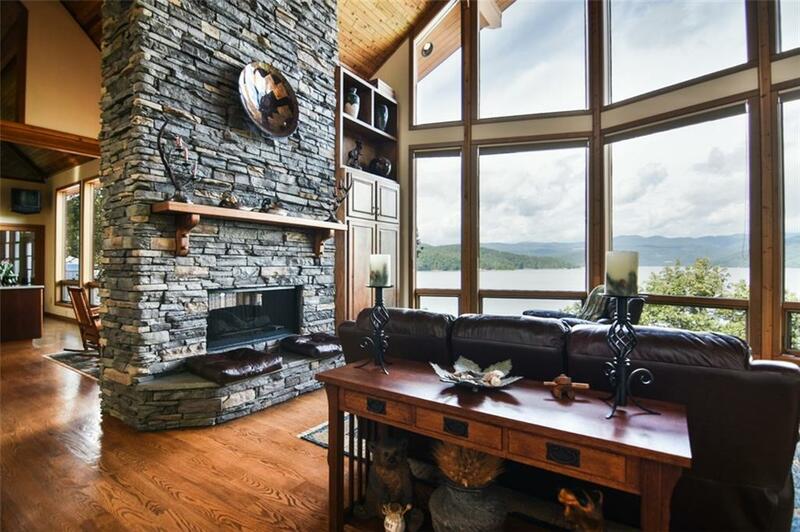 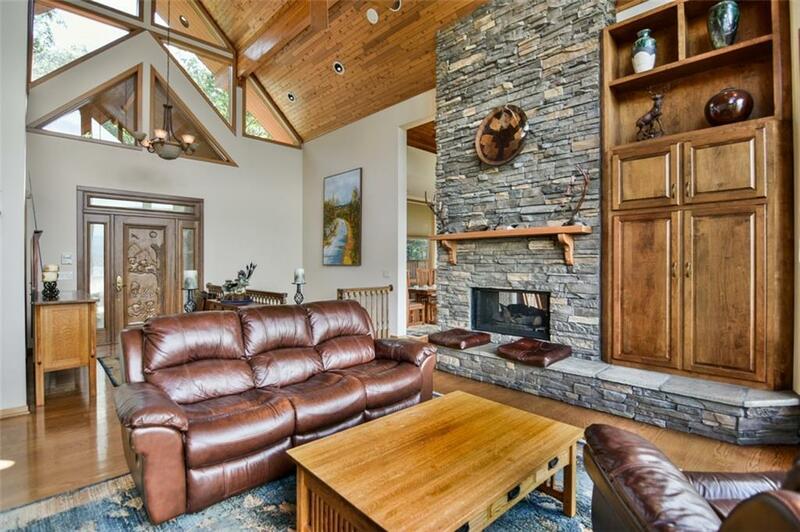 Enjoy the view with a cozy fire in the double sided fireplace. 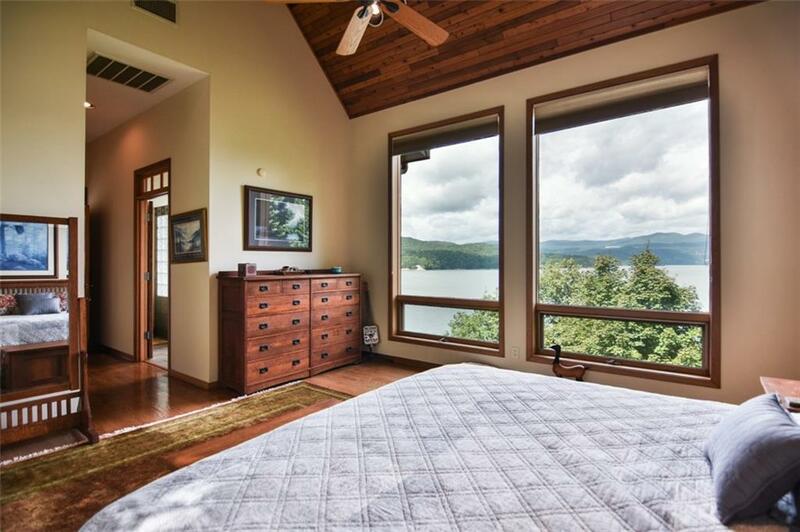 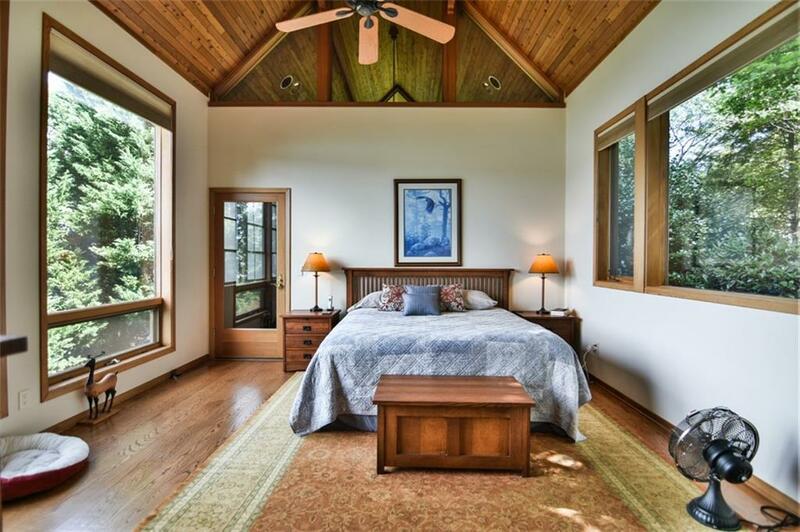 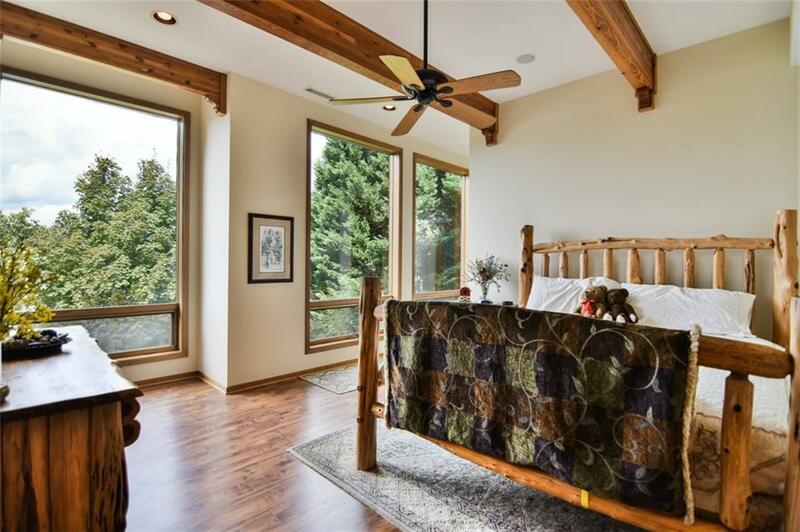 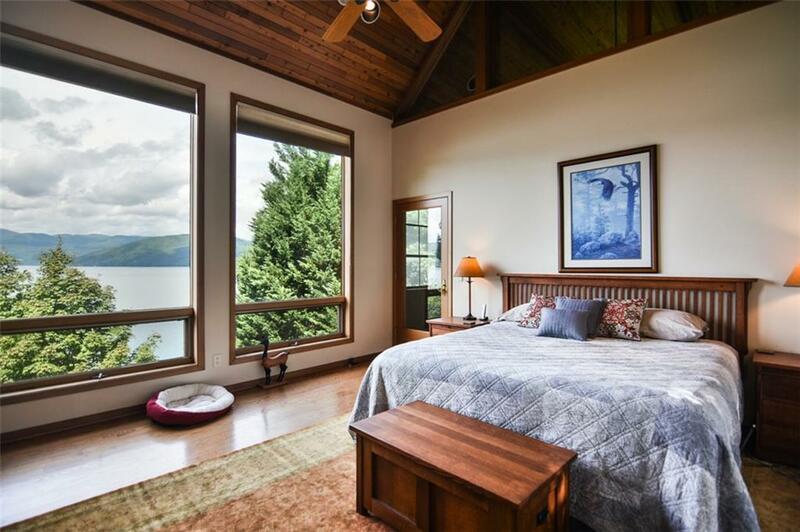 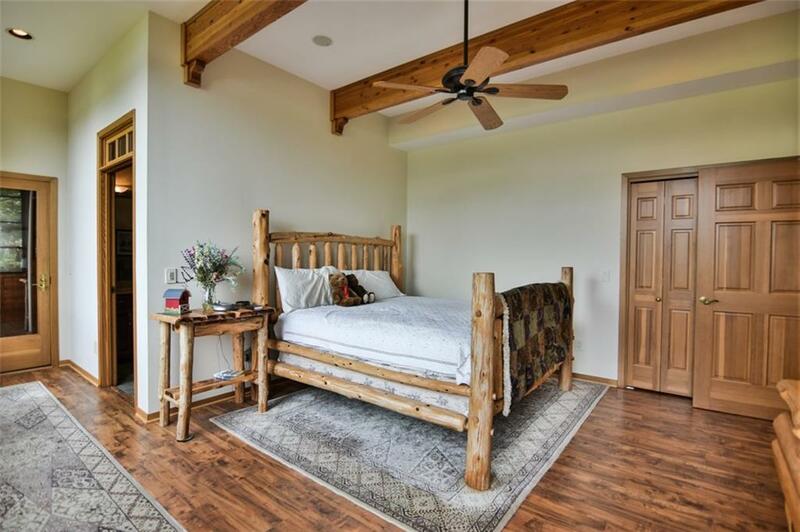 The master bedroom enjoys more great views of the lake, a spacious walk-in closet, bathroom with custom tiled shower, and access to one of the FOUR sunrooms in the home. 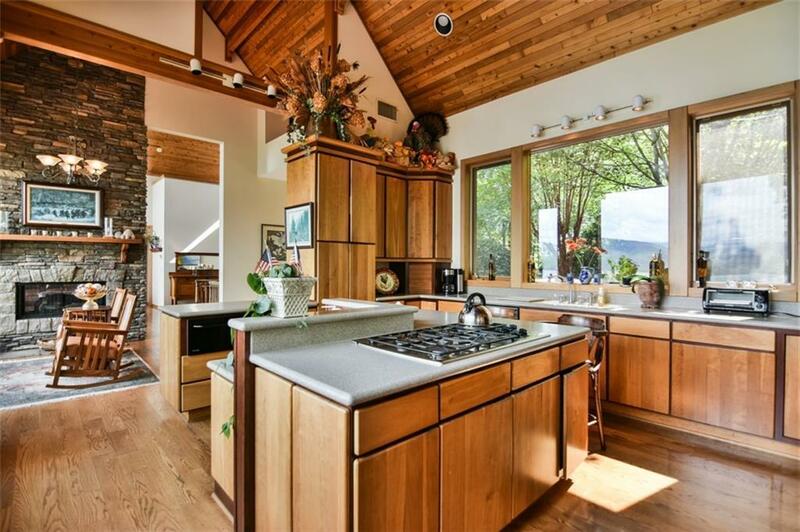 The kitchen is open, with a large dining area, lots of cabinet space, a SubZero refrigerator, warming drawer, and gas cooktop. 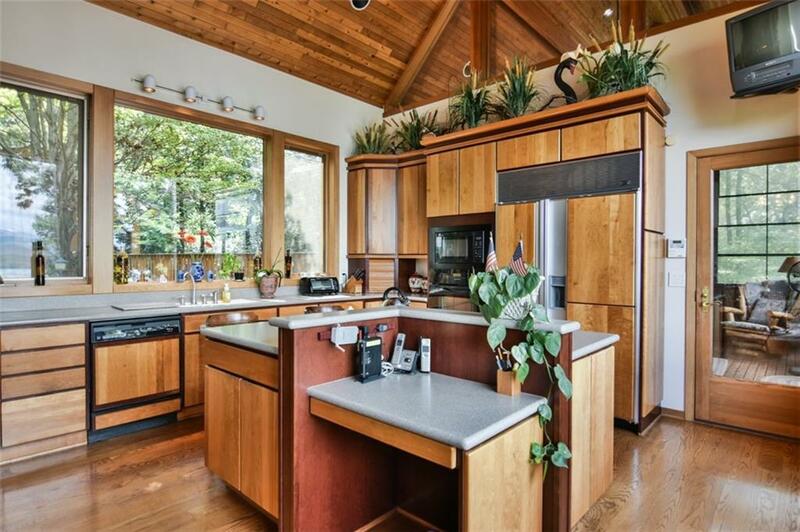 The kitchen leads to the second sunroom, which has a door out to the large, half-circle deck overlooking the lake. 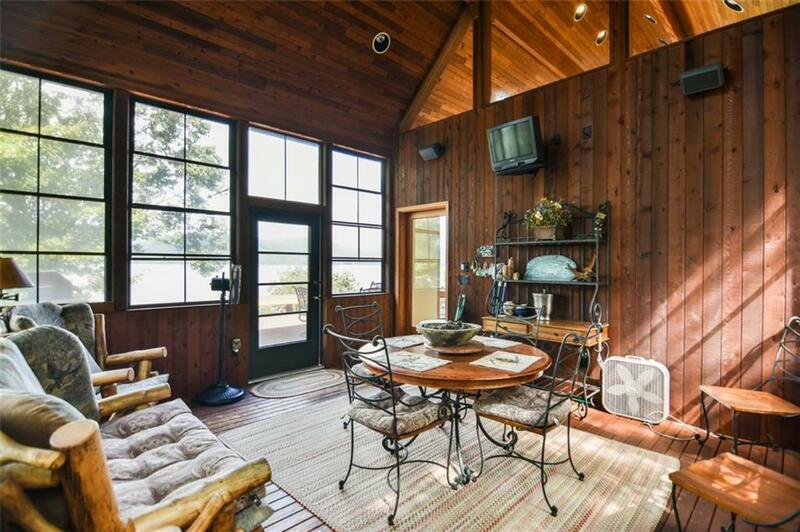 Downstairs you find the den, which also commands a great view of the sparkling waters. 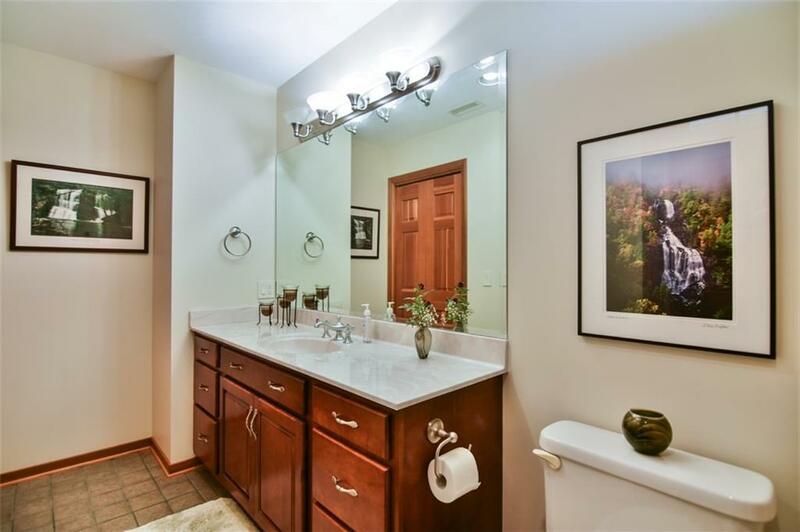 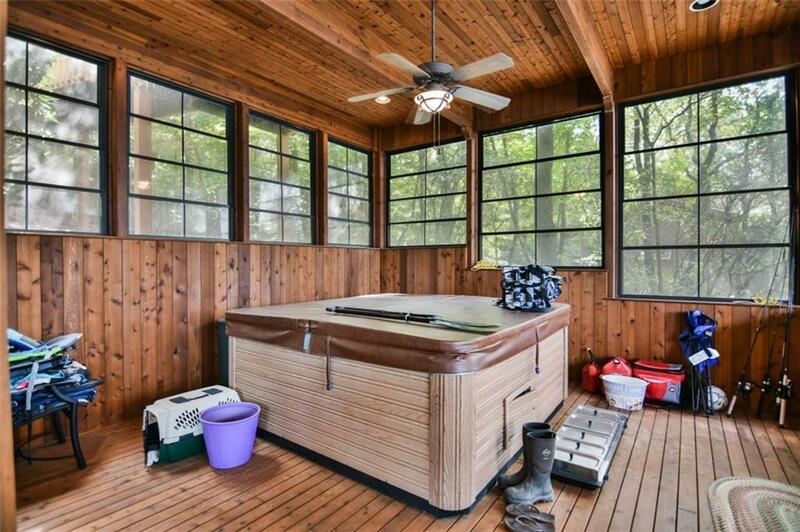 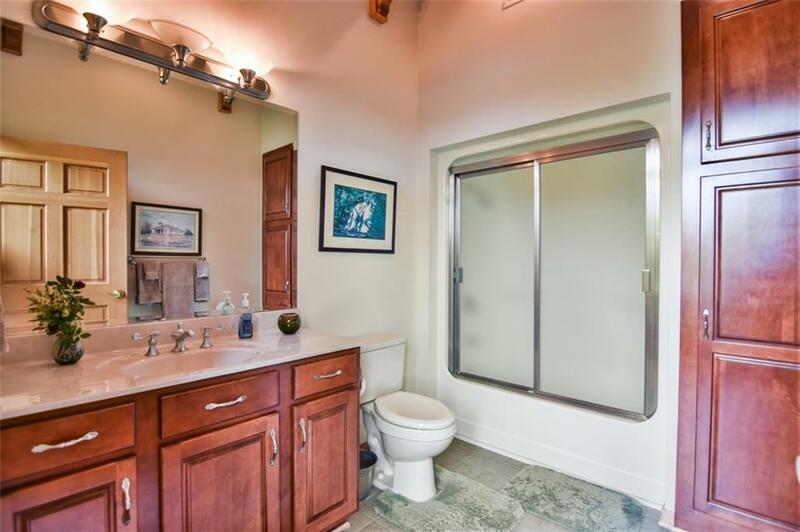 It features a wet bar and a second fireplace. 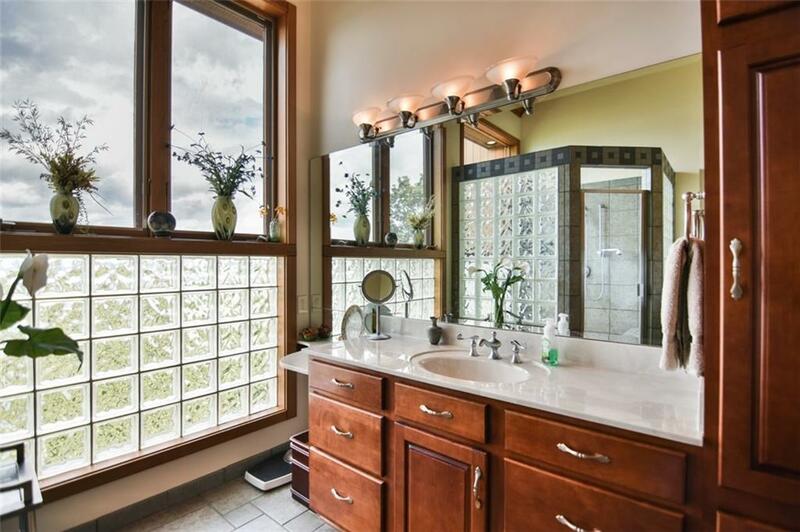 There are two bedrooms and two more full bathrooms downstairs, as well as two more sunrooms. 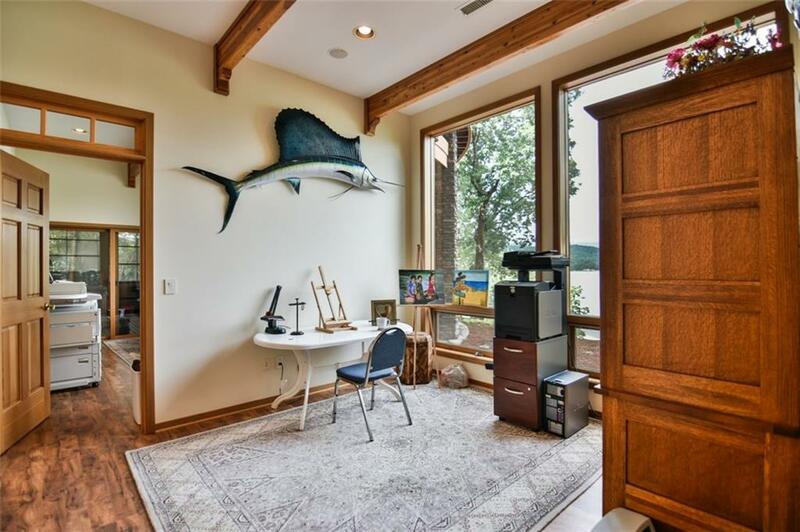 A home office gives you a great space to work in. 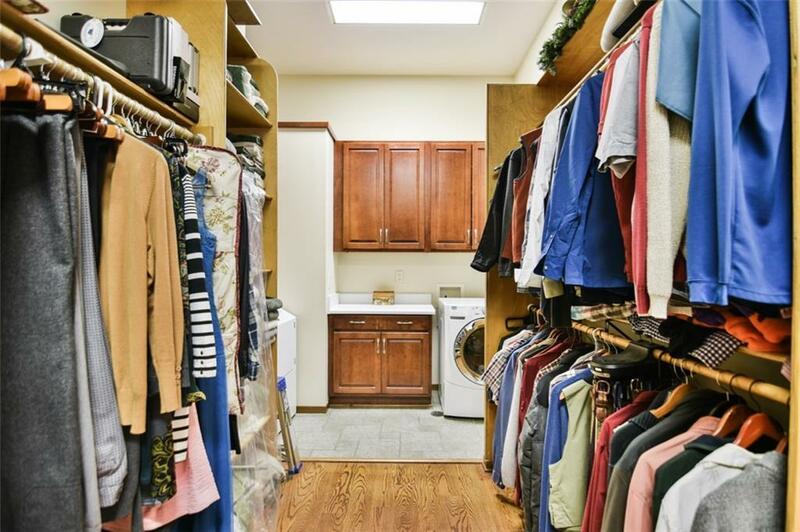 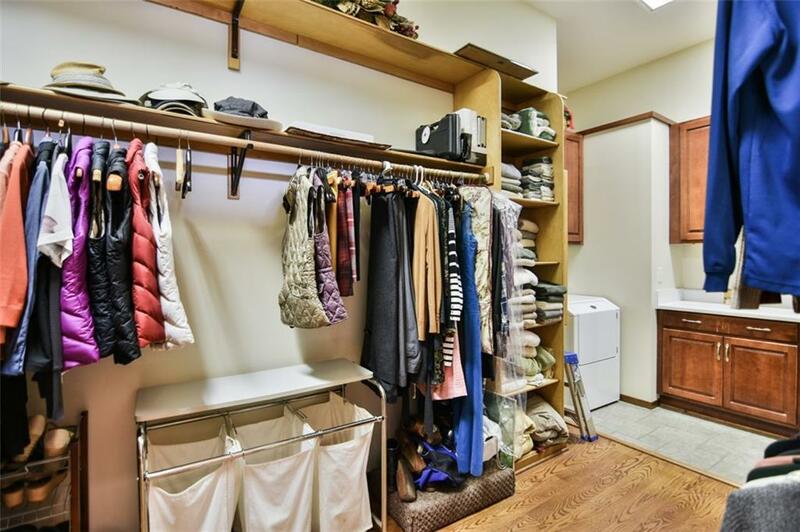 Storage rooms and closets abound with storage space! 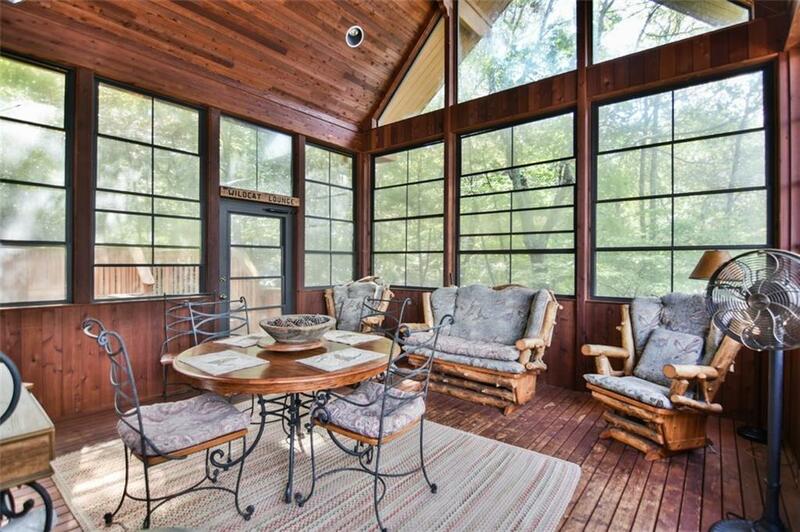 One of the downstairs sunrooms leads to a patio that is the same size as the deck above. 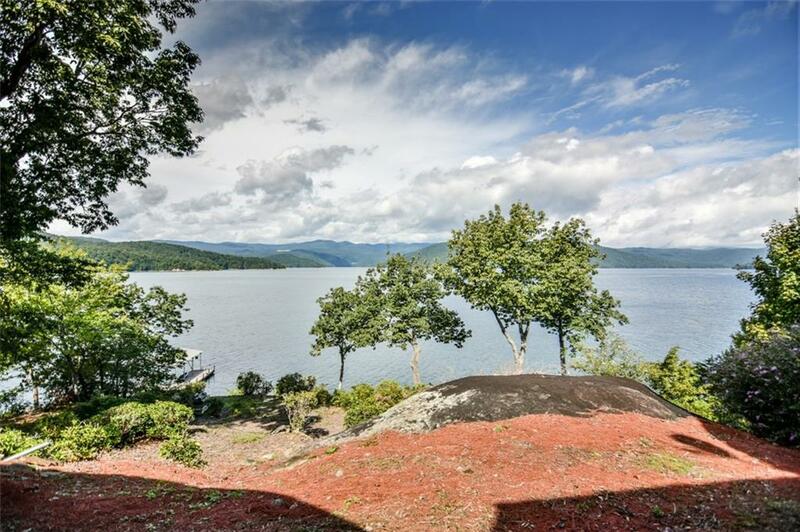 This lot is dockable - the seller has permission to build a dock, but hasn't needed one. 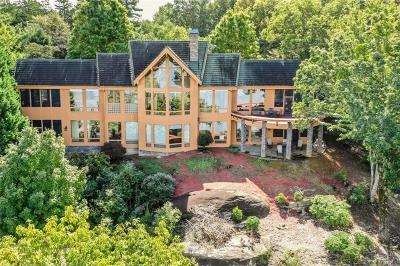 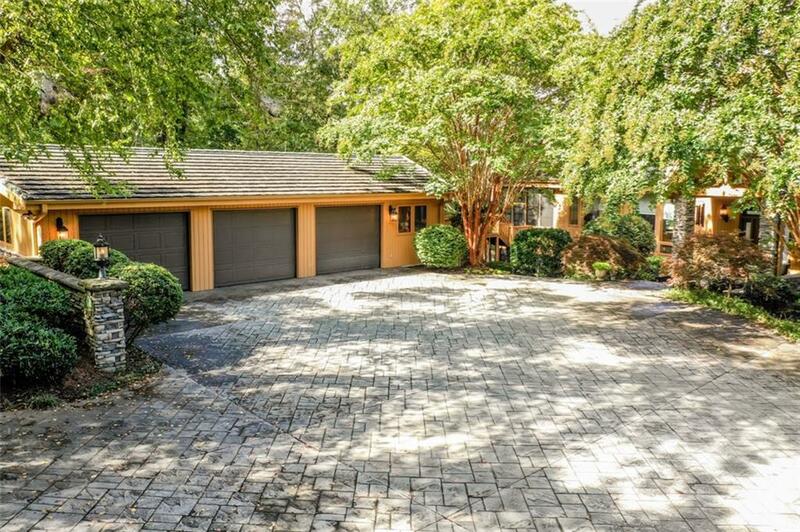 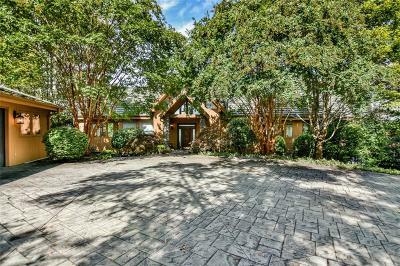 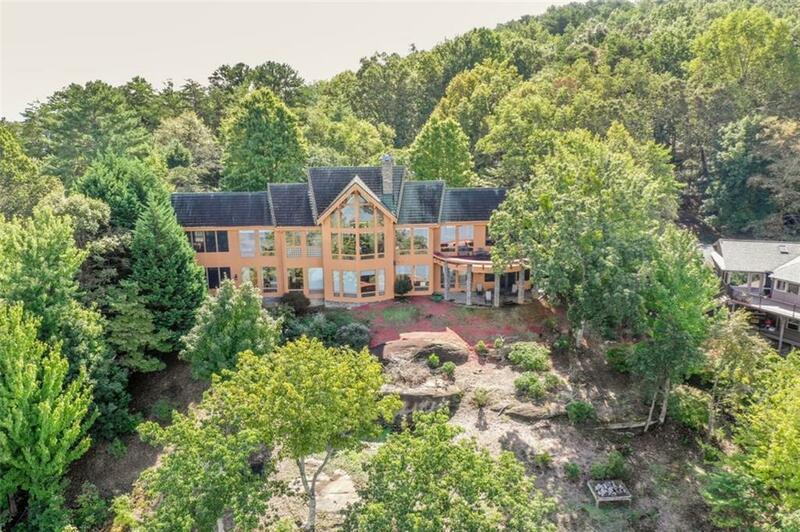 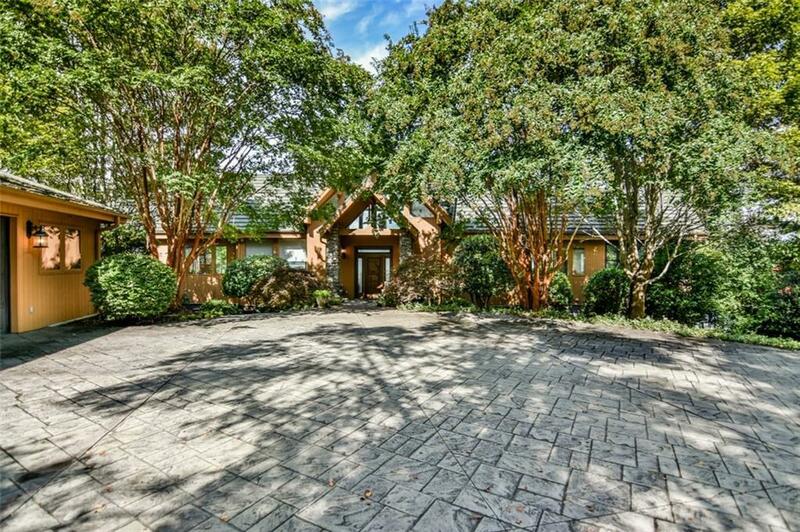 This home is just a short drive from Greenville, and is approximately 2.5 hours to Charlotte, Atlanta, and Columbia. Come today and find out why National Geographic heralds Lake Jocassee as one of the Last Great Places! 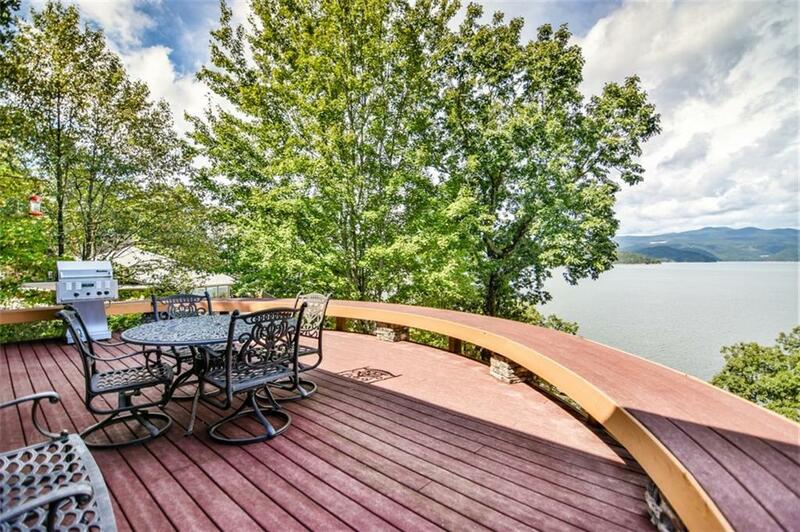 Life on the lake is just better, and life on THIS lake in the Blue Ridge Mountains is HEAVENLY!